COMING SOON TO THE PEARL PUBLIC LIBRARY! It's an exciting time at the Pearl Public Library with some new programs on the horizon starting in August! Hey, it's a great time to be a baby! Pearl Pee-Wees, will be held Saturday mornings, at 10 a.m., starting August 4, for birth to 24 months. During the program the children will have two easy picture books read to them. There will also be songs and rhymes where the children can practice such things as clapping their hands, tapping their toes and recognizing shapes and colors with the help of their parents. The parent and child will experience an enrichment playtime which may involve playing with balls, blocks, scarves or even parachutes. Give me a B - I - N - G - O! What's that spell?! BINGO for Books! A great adult program that's back by popular demand! It will be held on the second Thursday of each month at 6 p.m. If that's not your thing, how 'bout relaxing with a movie? Got that too for adults complete with popcorn and drinks! Third Thursday Flicks will be every third Thursday at 5:30 p.m.
Hey, wanna learn some Spanish? Or maybe you already speak Spanish but want to learn English. You are not going to believe this, but the Pearl Public Library has that too! Spanish for Beginners, lead by Dianne Lee, a retired Pearl High School and Hinds Community College Spanish teacher, will be offered on Fridays at 10 a.m. starting in August. That's not all! In addition to the already exciting Chapter 1 Book Club, which meets every second Tuesday of the month at 6 pm., a new daytime book club for adults is coming. The Morning Book Club will begin Wednesday, August 1 at 10 a.m. and will meet every other Wednesday. See, great stuff is happening at the Pearl Public Library, and you do NOT want to miss out! Remember all programs are FREE! An Evening with James Meredith at Brandon Public Library! Come to the Brandon Library for An Evening with James Meredith! 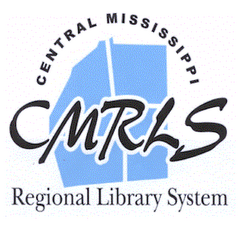 Join the Brandon and Rankin County Genealogical and Historical Societies at the Brandon Library on Tuesday, July 17 at 7:00pm for their bi-monthly meeting. Our special guest is James Meredith, the first African American to attend the University of Mississippi and a prominent figure of the Civil Rights Movement! Born in Mississippi in 1933, James Meredith was raised on a farm with nine siblings. He joined the military after high school and attended an all-black college before becoming the first black student at the University of Mississippi in 1962. After he graduated, Meredith earned a law degree and became involved in politics. He lives in Jackson, Mississippi, and continues to be active in civil rights.